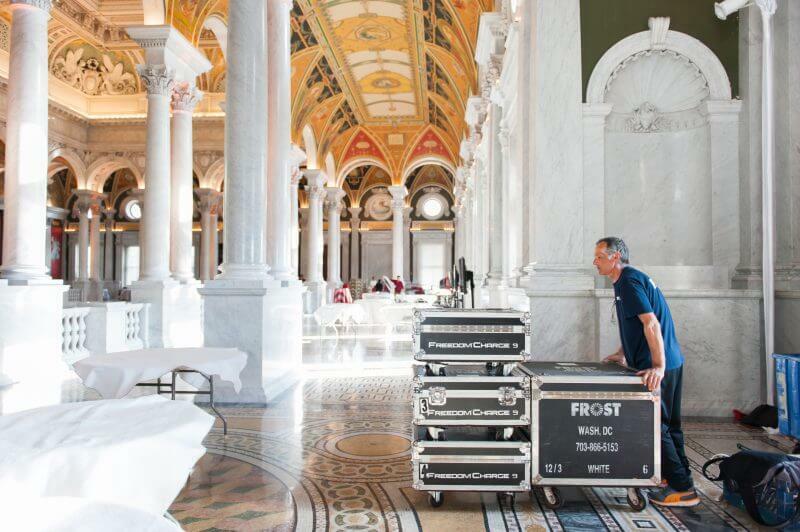 FROST DC’s strong company culture and philosophy focuses on mutual growth and prosperity, open communications, mutual respect, concern for environment, passion for community and a commitment to a balanced life. Want to join our team? We’re always on the lookout for talent that fits our philosophy and our relentless work ethic. Positions may include full time, seasonal and freelance crew leads, stage crew, riggers, lighting technicians, lighting programmers, electricians and drivers. To be considered, email us for a job application form. We look forward to connecting!